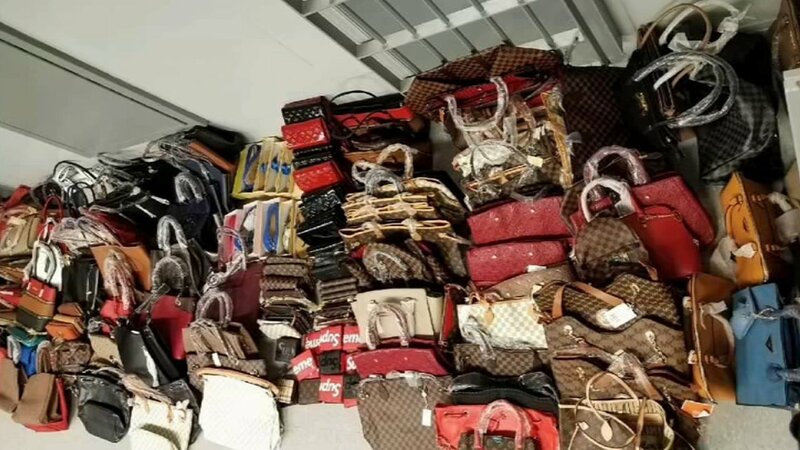 NEW YORK (WABC) -- Nearly 600 phony designer labels, 300 handbags, shoes and belts were all seized on the George Washington Bridge Friday. Police say, the counterfeit goods were packed into a minivan that was involved in an accident Thursday night. The suspect told police he was going to sell the items at a flea market in New Jersey. The driver, a 49-year-old man from the Bronx, now faces counterfeiting charges.